Every room in your home can benefit from having its very own, perfectly-selected set of window blinds to give your house that extra-special something that you’ve always wanted. 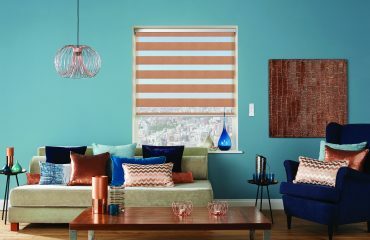 If you’re looking to update your blinds, look no further than Solaire Blinds in Leeds. 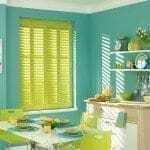 We are proud to be the home of top quality, affordable blinds, awnings and shutters. We pride ourselves on our extensive experience within the blinds industry, collectively holding over three decades of experience, so you know that you’re in good hands, no matter the size of your project. 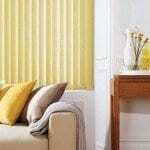 We offer a wide variety of blinds and can provide solutions for any type of windows. From Vertical, Roller, Venetian, Roman, Wooden and Panel blinds to plantation-style shutters, commercial products and more, Solaire Blinds has the right product for you. We also have a huge selection of fabrics and colours for you to choose from. 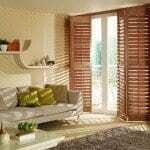 You can rest assured you will get the perfect result for your home when you choose us as your blinds and shutters specialist. We are able to provide our products at high quality, yet low cost. Not only are our prices already incredibly affordable, but we promise to beat any like-for-like quote, so you’re always guaranteed the best prices possible. So whether you have a particular budget in mind, or you are looking for a bespoke set of blinds then please get in touch on 0345 222 0138. The team at Solaire Blinds can arrange to visit you at home, allowing you to pick your new design in the comfort of your own home, where you can see exactly how they will look alongside your home decor. We appreciate that it might not always be a good time to have a team of blinds specialists walking around your house, so you tell us what date and time is best for you and our team will be happy to accommodate. If you are unsure or have any questions regarding our blinds or the service we provide, feel free to ask us anything during your free home consultation. You can also visit our brand new showroom to see our full range of products and colour options, of which we have an unparalleled range available. Our customers have the choice of any colour from the Dulux Trade or Farrow & Ball paint ranges, so you can be confident you will find a shade that will perfectly complement the current colour scheme in your home. We also carry out commercial projects, installing blind solutions for small and large office spaces, schools, and work with interior designers. No project is too large or small for the dedicated team at Solaire Blinds, and we are fully CSCS qualified, allowing our team to work alongside contractors and builders to help create the perfect commercial space, based on your requirements. 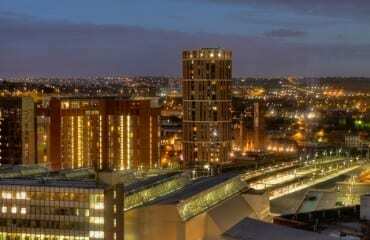 We work extensively throughout Leeds and Wakefield as well as providing our services throughout West Yorkshire. We are happy to answer any and all queries you may have so please don’t hesitate to call us on 0345 222 0138, or alternatively fill out our online contact form and a member of the team will be happy to assist. The team here at Solaire Blinds have built a fantastic relationship with our customers, both past and present, by striving to constantly provide the best service possible. 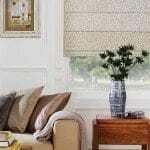 We offer free, in-depth consultations for anybody considering purchasing new blinds for their home. 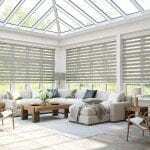 If new blind systems are something you are considering for your home, have a look at some of our inspirations, and get in contact with us on 0345 222 0138 and we will get your free consultation arranged for you as soon as possible. If you are an active staff member of the British Forces, NHS, Fire Service or the Police Force, get in touch to claim your 15% discount. Book Now ...or call today! Our assortment of clients ranges from homeowners and landlords to small and large businesses, schools, interior designers and more. If you would like further information on our services offered here at Solaire Blinds, don’t hesitate to give us a call on 0345 222 0138 and a member of our team will be happy to assist, alternatively, you can fill out our online contact form today and a friendly staff member will be in touch shortly.